Relations between craigslist and eBay nosedived yesterday as the world's number one internet auction site took the world's number one online public noticeboard to court claiming it was trying to illegally reduce its share in the company. "Since negotiating our investment with craigslist's board in 2004, we have acted openly and in good faith as a minority shareholder." However, eBay now alleges that in January of this year craigslist’s directors – founder Craig Newmark and CEO Jim Buckmaster – took "unilateral" steps to "unfairly dilute" eBay’s stake by "more than 10 per cent". 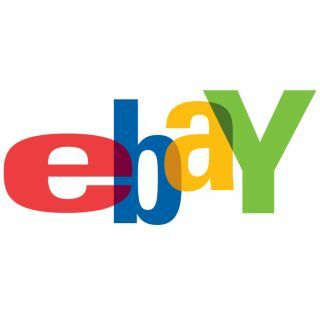 "The recent actions by the craigslist directors have disadvantaged eBay and its investment in craigslist," said eBay’s senior vice president, Mike Jacobson. "We are asking the Delaware court to rescind these recent actions in order to protect eBay's stockholders and preserve our investment," he added. Unfortunately there’s no way of knowing exactly what it is that Newmark and Buckmaster are alleged to have done. The complaint has been delivered to the court under seal due to confidentiality restrictions. That hasn’t prevented craigslist from responding though, with an article on the official blog claiming the company is "surprised and disappointed by eBay’s unfounded allegations". It claims the allegations were made without any prior dialogue with craigslist’s directors. Not only does craigslist deny the accusation that eBay’s stake has been unfairly diluted, it also points the finger straight back, questioning the auction giant’s motives for bringing the complaint. "eBay has absolutely no reason to feel threatened – unless a hostile takeover of craigslist, or the sale of eBay's stake in craigslist to an unfriendly party, is their ultimate goal," a statement read.